Mitsubishi Heavy Industries (MHI) has reached a basic agreement with compatriot Japanese yard Oshima Shipbuilding towards the formation of an alliance in the commercial ship business. The agreement is a technical alliance focusing on development of new ship designs and technologies, standardization of design and construction, and efficient shared use of tools and equipment. 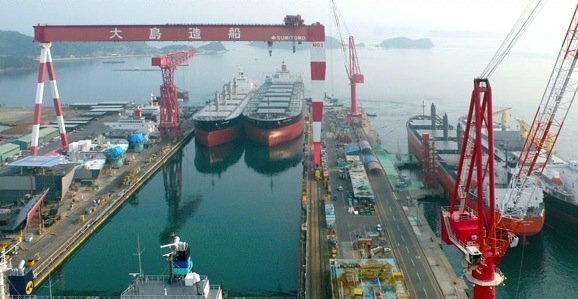 The alliance follows on from a previous agreement MHI reached at the end of March with other Japanese yards Imabari Shipbuilding and Namura Shipbuilding. “The new alliance will allow MHI to enhance competitiveness in shipbuilding, focusing on core engineering capabilities and expertise, while ensuring that Japan strengthens its shipbuilding capabilities in the face of a rapidly changing global industry,” MHI concluded.